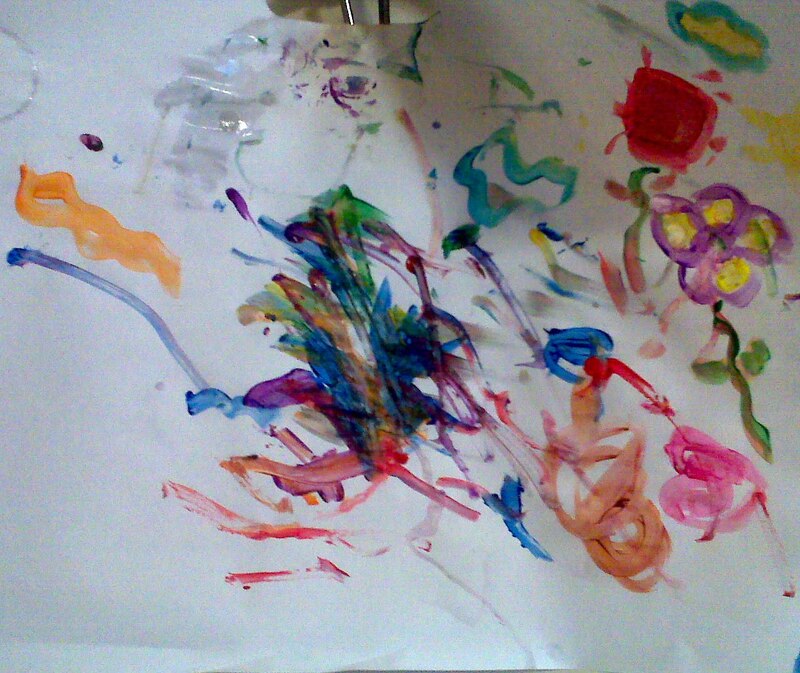 This week Spencer had his first foray into playing with paint. I skipped right over finger painting and went right into paint with a brush. He seemed to enjoy it and created this masterpiece. I dated it and it now hangs proudly in the living room. My very own little Picasso! Something to say? I love reading your thoughts! Want To Talk? Email us.